Hello! My name is Ms. (Natalie) Faris and I am the elementary school counselor at Longley Way! I am thrilled to join the Arcadia Unified family and am grateful to be serving the students and families at LW! Here is a little information about myself and the counseling program! I graduated with my BA in Dance and Women & Gender Studies from Cal State University Fullerton, then returned to school for my PPS credential and M.A in Educational and Clinical Counseling from Azusa Pacific University. I enjoy theatre, traveling, and teaching dance! I chose to become a school counselor because I love listening to, and learning about children. Please feel free to contact me with any further questions. I am eager to support the students, families, and staff here at Longley Way! Individual Counseling- Working with a student in a safe, positive, and confidential setting to address conflicts, or issues that impact school achievement. Topics are based on the needs of the student and may include: understanding feelings, changing families/divorce, grief, stress, social skills, academics, peer conflict, problem-solving, and decision-making. Small Group Counseling- A process where students sharing similar barriers or concerns work together in a small group environment consisting of about 3-6 peers. The group sessions usually last about 30 minutes and are held for approximately 6-8 weeks. Topics are based on the needs of the students and may include friendship and social skills, study skills, conflict resolution, anger management, self-esteem, and stress-management. Classroom Counseling lessons- I will be facilitating Kimochi, Second Step, and individualized class lessons in all grade levels throughout the school year! 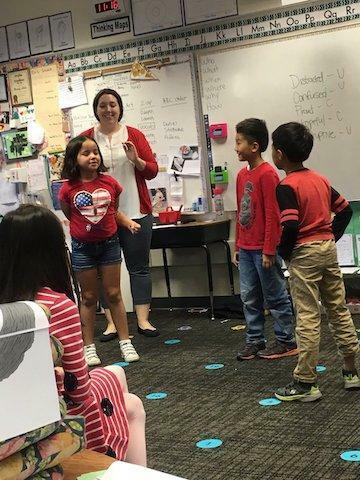 All of these lessons focus on teaching children emotional awareness and management, social and problem solving skills, and also include restorative circles to process classroom or campus challenges.